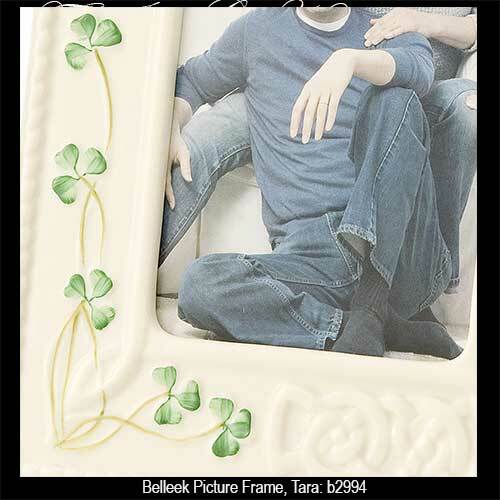 Belleek picture frames are fine Irish china photo frames that feature shamrocks along with the Claddagh and Celtic knots. 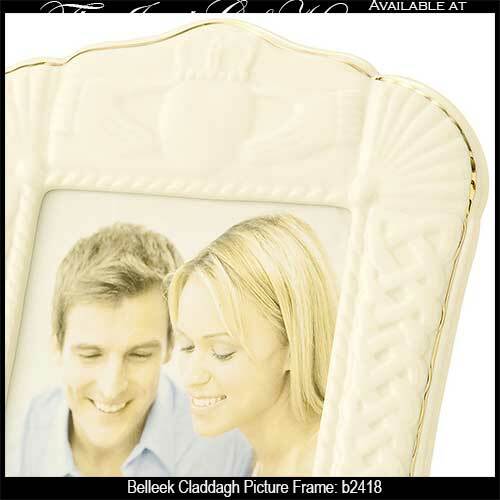 Any of these Belleek picture frames, from The Irish Gift House, would make a charming present for any bride and groom to display their wedding photo. 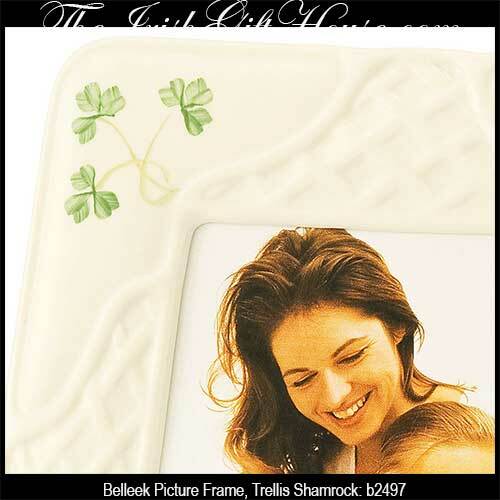 Irish picture frame from Belleek China is in the shamrock trellis design. 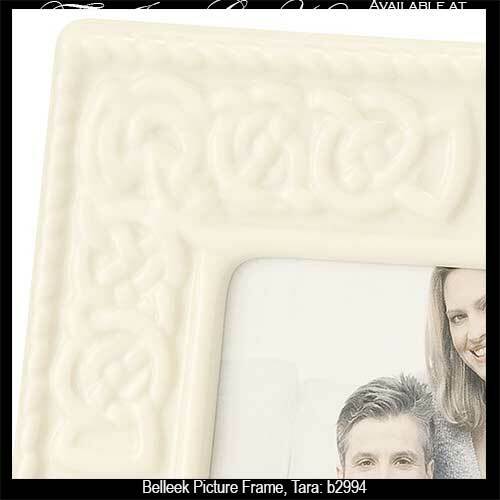 This Irish picture frame from Belleek China features the Tara style. The Irish Gift House is proud to this collection from Belleek and we are just as proud to feature an assortment of Mullingar Pewter picture frames and a selection of Galway Crystal photo frames. 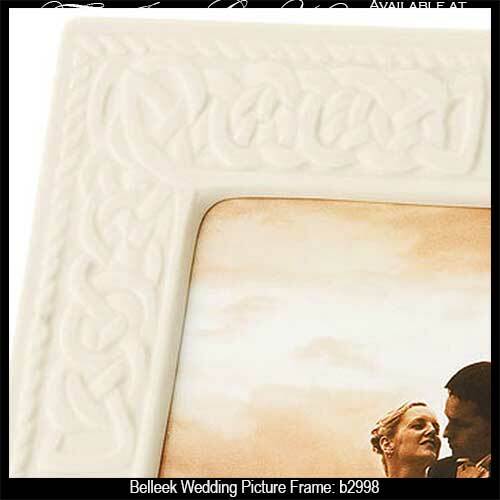 Combined, these three Irish crafters make the lion's share of our Irish wedding picture frames, but you will also see additional designs that are constructed from carved wood. 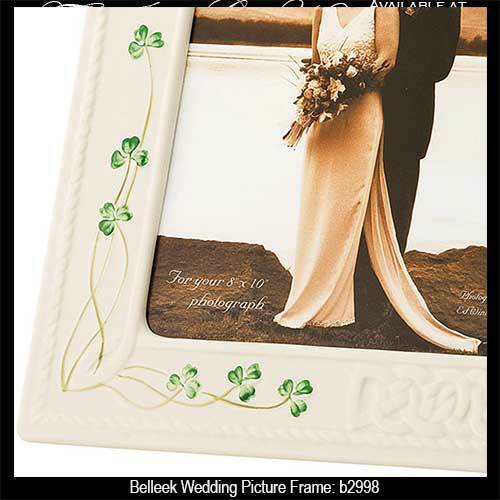 All of these Irish and Celtic photo frames will protect your fondest memories and they will also enhance your home's decor. When it comes to adding an Irish accent to your home you may also wish to browse our selections of Irish lamps that respectively feature shamrocks, the Claddagh or intricate Celtic knots. 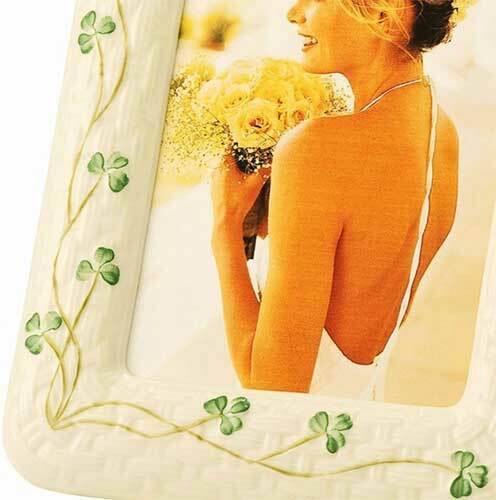 An additional fine example of our home accent are the Irish throw blankets, some of which feature blessings, but take a look at our Irish blessing plaques section to see an extensive collection of verses for every occasion. Another decor consideration is the collection of Celtic crosses for the wall as their display will demonstrate both your heritage and your faith.